My early introduction to Hibiki was with its enjoyable 12 year blend years ago and then its even more delightful 17 year sibling. 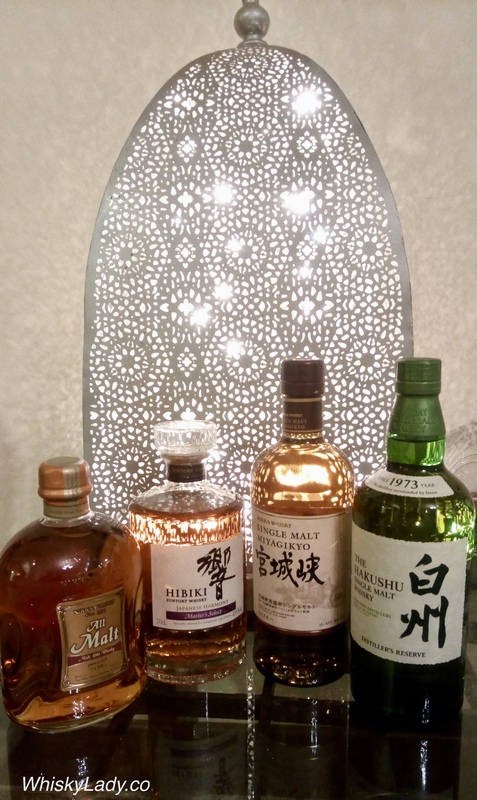 However the craze for Japanese whiskies in recent years has meant pressures on stock and, like many other companies, Suntory is no exception to embracing the NAS trend rather than be restricted to have a year statement linked to the youngest whisky found in the bottle. 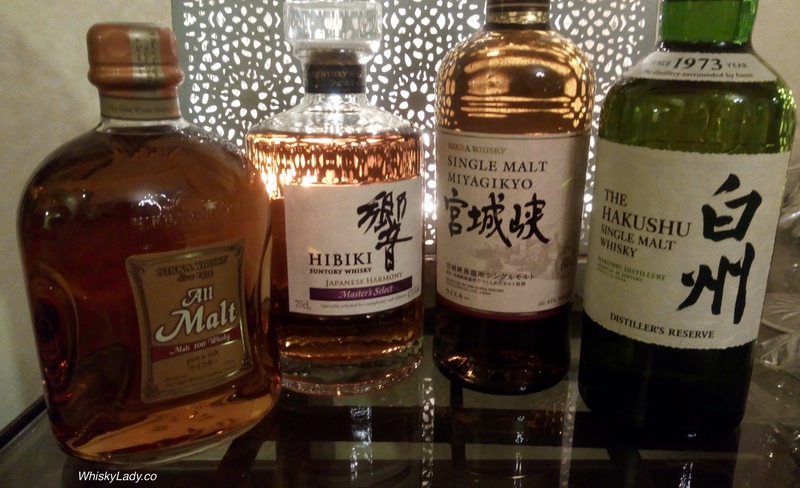 Japanese Harmony “Master’s Select” is a recent Hibiki offering found in most Duty Free shops around the world… and just so happens to be the whisky that kicked-off our regular group‘s November tasting trio! Speculation – Sense that it is between 40 – 43%, feel of being a bit ‘junior’, could the colour have a little caramel? The unveiling – the new Hibiki NAS blend with Yamazaki sherry cask, Hakushu and Chita. And our overall thoughts? Quite straight, linear, no complexity, yet equally a ’no complaints’ kind of whisky! An entirely pleasant dram and when in the mood to simply sip, enjoy while listening to say.. classical music… this would do the trick! 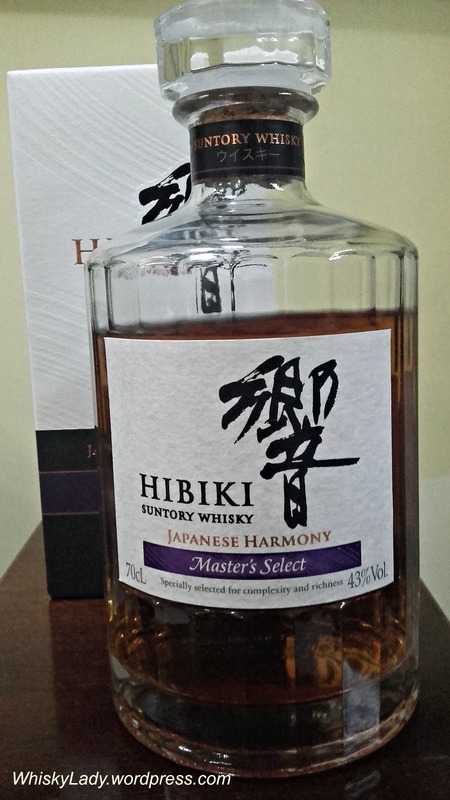 Hibiki Japanese Harmony is made with malt whiskies from the Yamazaki and Hakushu distilleries, as well as grain whisky from the Chita distillery. The whiskies are drawn from 5 different types of cask, including American white oak casks, Sherry casks and Mizunara oak casks. The blend itself was crafted by the Suntory Whisky blending team, led by Master Blender Shingo Torii. An elegant expression, with wafts of honey, orange, a herbaceous touch or two and light oak.